The official weigh-ins for “UFC on FX: Guillard vs. Miller” take place today inside Bridgestone Arena in Nashville, Tennessee. Stream Thursday’s weight contest live right here on 5thRound.com starting at 5PM ET/2PM PT. 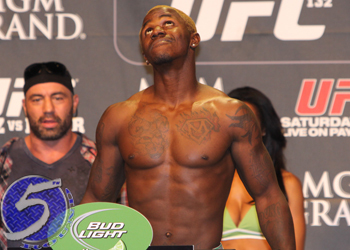 A lightweight affair between Melvin Guillard (Pictured) and Jim Miller headlines Friday’s show. Both 155-pounders are looking to bounce back from devastating defeats. FX will broadcast the card’s main bouts live beginning at 9PM ET/6PM PT.